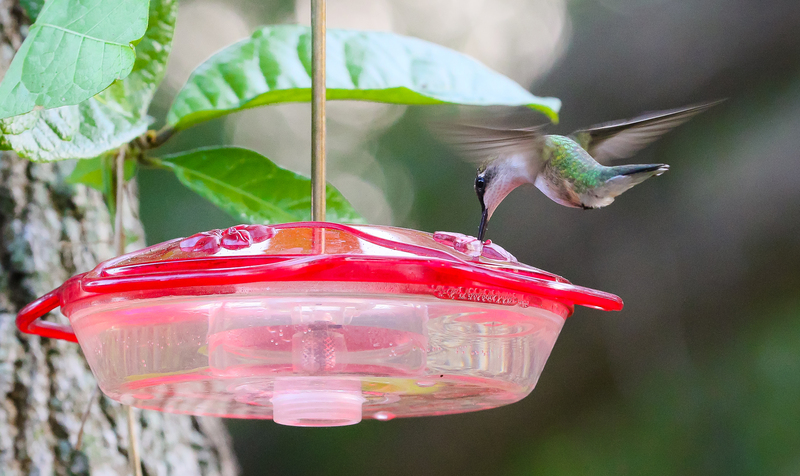 Feisty and elegant, hummingbirds are creatures of many superlatives. Not only are they among the smallest birds, they are the only avian helicopters capable of sustained hovering in place and flying backwards. Their small size belies their toughness – many hummingbirds migrate long distances and must eat several times their weight in nectar daily to stay alive. Their accelerated metabolism may keep hummingbirds moving at impressive speeds, but also means they live on the edge, consistently within hours of starving to death if they don’t find food. We need you. Yes, you. With technology widely available today we can all become citizen scientists, spending a few minutes each week to collect data in our communities that will be invaluable for researchers. For instance, the smartphone in your pocket can be used as a high-tech data collection device, complete with GPS, camera, timer, and internet capabilities. By joining Audubon Hummingbirds at Home you will join a movement to crowdsource rigorous science that is meaningful for hummingbirds. You will become an integral piece of a continent-wide network of citizen scientists helping uncover how hummingbirds are affected by climate change and providing the information necessary to devise actions to help them. Wondering how it works? For more information on how to participate, see Audubon's Humminingbirds at Home website.